Queen duvet cover (88" x 88") featuring the image "Earlysville Virginia Ancient White Oak" by Catherine Twomey. Our soft microfiber duvet covers are hand sewn and include a hidden zipper for easy washing and assembly. Your selected image is printed on the top surface with a soft white surface underneath. All duvet covers are machine washable with cold water and a mild detergent. Thank you Gene, and thanks very much to the collector. Beautiful painting with wonderful color and detail! 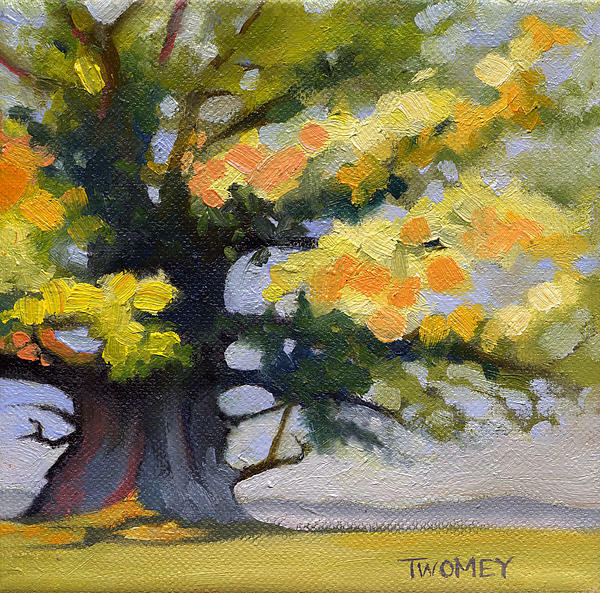 Ancient Earlysville White Oak I'm thinking back to the glorious day I was able to sit underneath and paint this tree. It probably saw General George Armstrong Custer during the Civil War, heading to battle over Rio Hill along Seminole Trail Road. And what about all those trips Thomas Jefferson took up the Trial and over to visit his Montpelier friend, James Madison? This tree knows a lot. 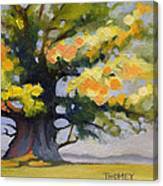 Taking a bough: Among the estimated 172 million trees in AlbemarleCounty, the Earlysville Oak is royalty. 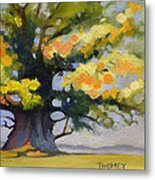 It's the second largest white oak (Quercus alba) in Virginia, and when it was first setting its roots the nation was just starting to grow as well. From its position near Earlysville Road it has seen oxen drawn wagons evolve into fume-belching vehicles, and then aircraft join the birds flying above its spreading crown. It's a unique tree. 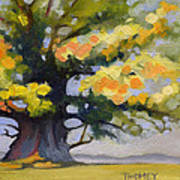 The base of it is flared; it's very unusual for an oak to have that much flare at the bottom.